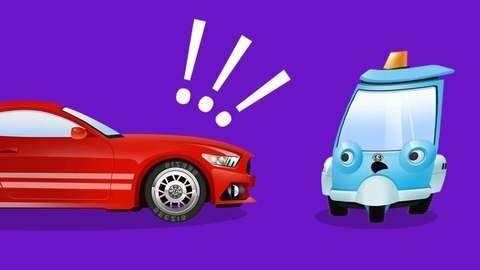 In this episode of car cartoon for kids Little robot’s rescue. The little one is so busy working, it doesn’t realize it is on a carriageway. Red Race Car scared the little robot so much, it climbed to the very top of a high-rise building. Now it stuck there. Luckily, Police Car notices this, and calls for Fire Truck’s help.